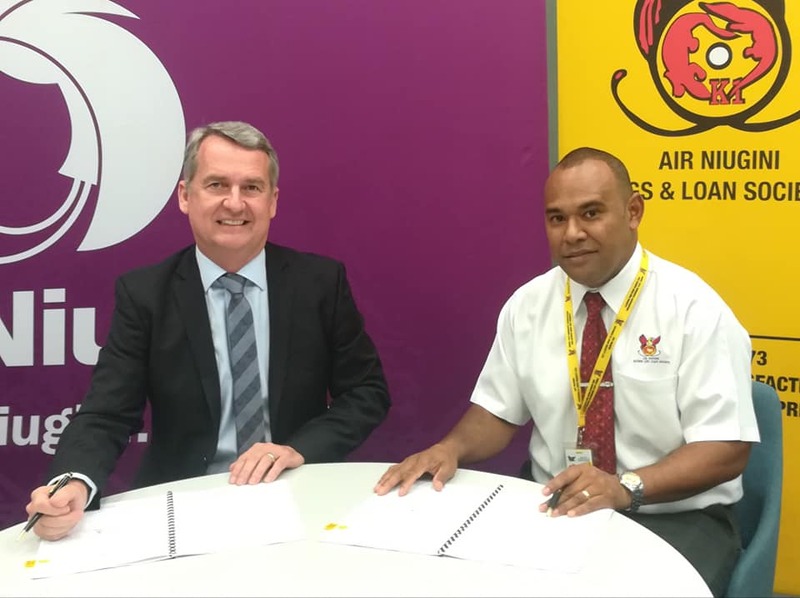 1, 500 members of Air Niugini Savings and Loans Society and their dependents can expect up to 25% discount on travel on both Air Niugini domestic and international sectors, effective today Wednesday, 10th April and for the next two years. This follows the signing of a renewed agreement between ANG Managing Director, Alan Milne and Chief Executive Officer of ANG Savings & Loans Society, David Munaga in Port Moresby this afternoon. Of the 1, 500 membership, 40% are Air Niugini staff.